Beagles are the most popular breed for lab use because of their friendly, docile, trusting, forgiving, people-pleasing personalities. The research industry says they adapt well to living in a cage, and are inexpensive to feed. Research beagles are usually obtained directly from commercial breeders who specifically breed dogs to sell to scientific institutions. 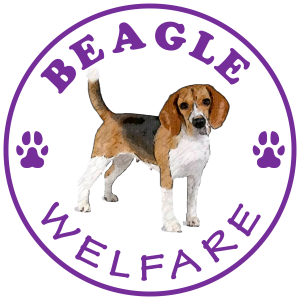 Testing done on beagles in university and other research facilities includes medical/pharmaceutical, household products and cosmetics. When they are no longer wanted for research purposes, some labs attempt to find homes for adoptable, healthy beagles. Working directly with these labs, Beagle Freedom Project is able to remove and transport beagles to place them in loving homes. All rescues are done legally with the cooperation of the facility. As beagle-huggers, it is our responsibility to steer clear of all products tested on animals… South Africa is slowly starting to come to the party in terms of cruelty free products. For a full list of products – worldwide – that ARE and ARE NOT tested on animals, take a look at PETA’s website Here is a direct link for products/brands/companies that DO TEST ON ANIMALS Here is a direct link for products/brands/companies that DO NOT TEST ON ANIMALS A lot of the brands that do NOT test on animals are sadly not available in South Africa… but with a bit of digging, I have found a couple of places we can shop, with a clear conscience! If you have discovered any other products that are safe for us to use, PLEASE comment on this post and share your findings. 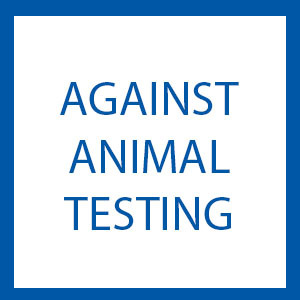 A more South African focussed list of companies not testing on animals can be found on BWCSA’s website here (Beauty Without Cruelty South Africa) – this list is great as it lists contact details and links to each company on the list! Save this for future reference…! Woolworths has an Earth Friendly range in most of their stores… or buy online . From body lotions, bubble bath, to cleaning products like laundry liquid, oven cleaner , a bleach alternative and dishwasher tablets. The Victorian Garden is a proudly South Africa n organic skincare company… they have a HUGE range, and are very helpful recommending products. They are based in Lonehill JHB, but will ship countrywide, or point you to a stockist nearby. Face care, bath goodies, a skin care range targeted at men, and another for babies. Tranquil Body Treats is based in the Western Cape and produces bath & body goodies that are natural and therapeutic. TBT will also send products all over SA, or point you to someone close by. For the ladies, make-up that is made in SA and natural, take a look at Inthusiasm for a full range of makeup – foundation, powders, eyeshadows, lipstick etc. Another really high quality makeup brand is LCN. All made in Germany, you can be sure this is top of the range. Reasonably priced, and a full range – from makeup, to brushes. Contact PebbleMoon Salon in Edenvale for a pricelist and orders. Enchantrix has a large range of products, including loads of househould cleaners. They also have toothpaste and a pet-products section! Buy in bulk and save! The Beauty Factory is popping up in malls all over JHB (and hopefully elsewhere in SA too!) – they have bath goodies as well as household cleaning products! Take a look at Ethical Living’s Buyer’s Guide for really awesome comparisons! This is brilliant, spread the word and make people aware of the cruelty behind the scenes. Excellent Job !!!!! When I took my pups for their injections I got talking to the nurse and she told me they use beagles at the training institutions to practice enemas etc on because of they beagles great nature. I found it very sad that beagles are used like this for the same reason we own and love them. Lush Cosmetics have just opened in Cape Town and they are great! They have a store in Cavendish and the V&A Waterfront and I have heard that they are planning on opening stores in JHB. Just a fact so you are not mislead. Most cosmetics products are NOT tetsed on animals. Its their ingredients that are. There is a ban in the EU that does not allow for the testing of ingredients on animals. However it is important to note that most ingredients used in cosmetics, sold by companies who do not test on animals, were previously tested by other companies before the bans. (once an ingredient is considered safe any company can use it). There is a lot of work taking place world wide to develop alternative, non animal methods that are science based, like human skin in a test tube. That being said, beagles are commonly used for horrible testing methods for the safety testing of chemicals, pesticides, pharmaceuticals and food and feed. People need to move away from the reliance on animal testing which often do not work. I am not a 60kg rat!!!! Thank you for this,it’s not always easy to find all the products.I will not give up.We must be responsible consumers.Every bit counts. Unfortunately, most of the products listed in this article are unacceptable and not endorsed by Beauty Without Cruelty or any other credible organisation! Consumers should not accept companies’ “not tested n animals” claims at face value, as it is absolutely necessary for companies to have provided proof that their products comply with recognised humane standards before they can be recommended! PETA has very low standards as all they require is for companies to sign their statement of assurance that they do not test on animals and won’t do so in the future; they conduct no further investigation! Beauty Without Cruelty( http://www.bwcsa.co.za ) and the internationally accepted Leaping Bunny Programme (www.leapingbunny.org ) require written assurance from ingredient supply companies that specific ingredients have not been tested on animals after a fixed cut-off date! BWC’s humane criteria are in line with international standards. PLEASE REMOVE ALL REFERENCE TO BEAUTY WITHOUT CRUELTY FROM THIS WEB SITE IMMEDIATELY! Beauty Without Cruelty’s name and logo are protected under the Heraldry Act and may not be used without permission! If you wish, you may only keep the link to our web site, but as BWC does not endorse the information provided on this web site, no other reference may be made to Beauty Without Cruelty unless permission is given. None of Allure Cosmetics products are tested on animals. 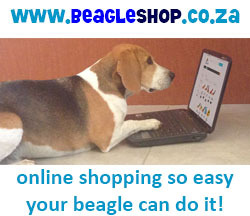 Please note: If the brand is not endorsed by BWCSA you cant be sure if their humane claims are true, so you wont find a few of the brands listed on this forum as they have not been endorsed. Onderstepoort have Beagles they use for “testing” one bit a nurse recently. I am so tired of this. There are non-animal models that can be used. The actual excuse being used is that the Beagles are bred for this. Really???? This is so disgusting and sad in this day and age. The Beagle Freedom Project now has an app that you can download on your phone called CRUELTY CUTTER – it allows you to scan products on the shelves before you buy and tells you immediately if the product has been tested on animals. Unfortunately it can only tell you about international and not locally made products yet but still a brilliant tool! 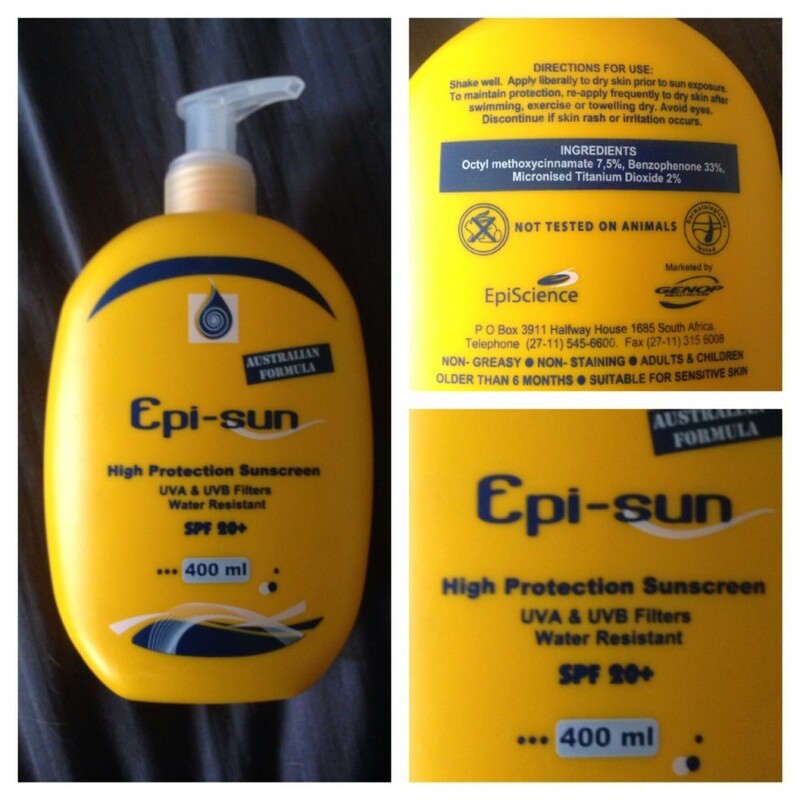 Please note that Epi Sun and Good Stuff are NOT endorsed by BWCSA. Any company can put a bunny logo on their products, but that does NOT mean they are certified cruelty-free. Please removed these two products. Also, take great care not to trust sales-people in shops. They do not know. Do your own research, and buy only certified products and brands. Please. It is up to us humans to stop the horrors other humans perpetrate on these animals. If there is any way w can contribute to help this cause please advise. We are ”pensioners” [ through medical reason rather than oge ] – but how can we help? Wow the amount of ignorance on this website is ridiculous. You do know that despite having an “against animal cruelty” label, all products out there are have been tested on both humans and animals; a product is not allowed to be on the shelf otherwise. The only difference is that the humans give consent. Further, animals in research are among the most well looked after animals and their level of welfare far exceeds that of the majority of companion pets. Rules and strict regulations are carried out to make sure that the animals’ suffering includes nothing more than the slight pain of a needle prick. In addition, not just anyone can grab a beagle and carry out experiments. There is a lengthy procedure involved and a board consisting of veterinarians and other trained professionals will reject the use of an animal if it includes suffering of the animal that exceeds slight pain. Please become aware of how animal rights activists have influenced all of your views. I encourage you to learn more about animals in research. Focus your concern on the plight of the majority of animals in the production sector as those animals are often treated horrendously. 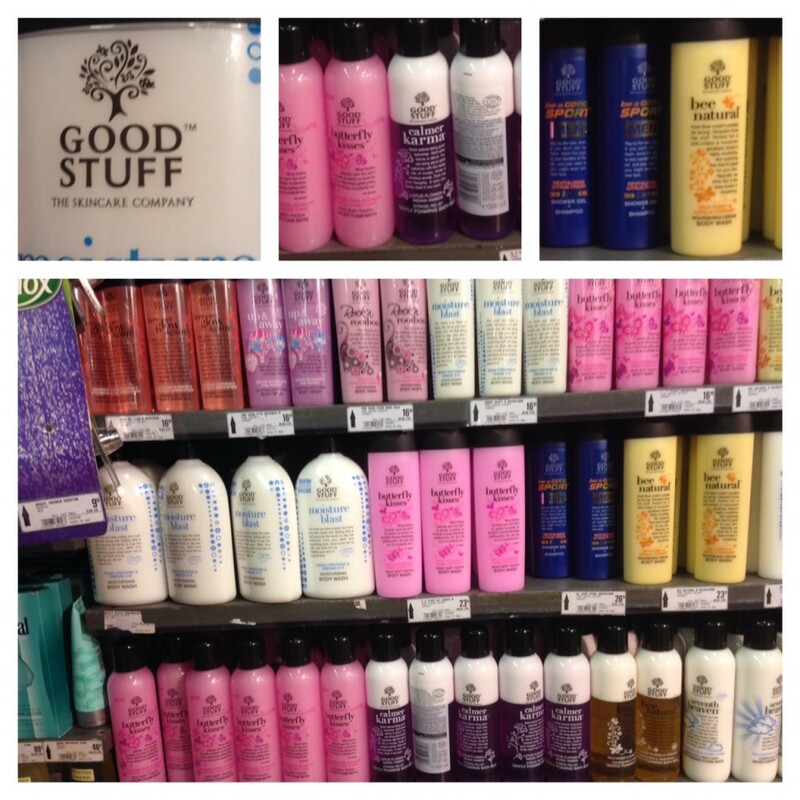 Oh so heavenly from clicks and the body shop products are also cruelty free. Have you perhaps seen the documentry earthlings? Where they were burning a live pig?? Perhaps you are the ignorant one here. Write cover latter help. Edit a resume for me, writing services. Buy my paper for me, writing help, Buy a essay online, writing help.